The Hurricane Watch Net went on the air today (Sept. 30) at 11:00 AM EDT, as Hurricane Joaquin set its sights on the Bahamas and ultimately - perhaps - the U.S. east coast. According to Hurricane Watch Net Manager Bobby Graves, KB5HAV, "Joaquin is expected to make a very sharp turn to the north-northeast sometime Thursday. This is due in part to a frontal system moving towards the Bahamas. The timing of this system will dictate the timing of this turn. Due to the close proximity to land, whether or not this storm makes landfall in the Bahamas, the Hurricane Watch Net will be active until no longer a threat in this region." The Hurricane Watch Net's primary frequencies are 14.325 MHz during the day and 7.268 MHz at night. Please keep these frequencies clear for HWN-related traffic. Graves says residents in the path of this storm should take every precaution to protect their families and property. And for the latest information on this storm, and other active systems in the tropics, including Net Activation Plans, please visit the Hurricane Watch Net website at www.hwn.org. The rash of wildfires in the western U.S. this summer has taken a significant toll on the ham community. Sixty-six-year-old Mark McCloud, K6YCV, of Caleveras County, California, was one of two people who died in the Butte fire in mid-September after refusing to follow an evacuation order. According to the ARRL Letter, the county coroner said McCloud and the other victim were both found dead in their homes, which were destroyed by the fire. In Washington State, the First Creek fire in late August destroyed two repeaters belonging to the Lake Chelan Amateur Radio Club. The ARRL Letter reported that the building housing the club's 2-meter and 6-meter repeaters was completely leveled by the fire. Hams up and down the west coast provided communications support for a variety of firefighting efforts. 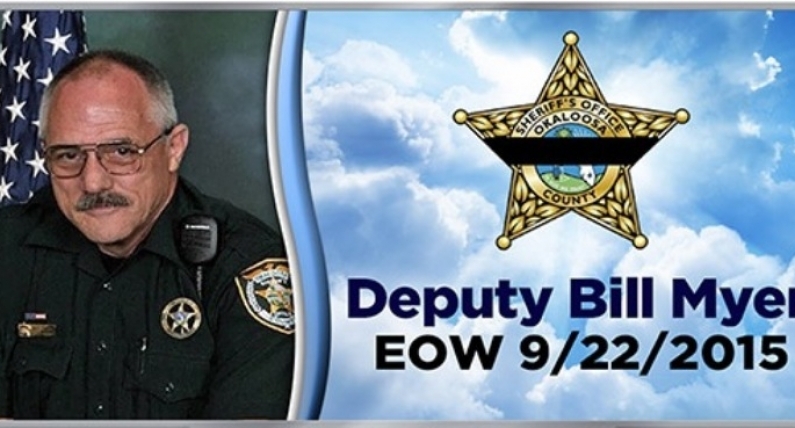 Okaloosa County, Florida, Sheriff's Deputy William Myers, KK4KF, was shot and killed while attempting to serve an injunction in a domestic violence case. Newsline reports that Myers, 64, of Shalimar, Florida, was attempting to serve a restraining order on 33-year-old Joel Smith when Smith pulled out a gun and shot him. Myers died of his injuries a short time later. Smith was later shot and killed by police during a standoff at a nearby hotel. According to the Okaloosa County Sheriff's Department website, an estimated 2000 people attended a memorial service for Myers on Sept. 28, including Florida Governor Rick Scott and state Attorney General Pam Bondi. A string of special event stations stretching from New York to Virginia took to the amateur airwaves the last week in September in honor of Pope Francis's visit to the United States. The leader of the Roman Catholic Church made stops in Washington, DC; New York City and Philadelphia. According to Newsline, four radio clubs in the region teamed up to operate at least as many special event stations, and expected to make between 20,000 and 50,000 total contacts. The Potomac Valley Radio Club operated N4P in northern Virginia and K3P in the DC/Maryland area; while the Frankford Radio Club and Holmesburg Amateur Radio Club in the Philadelphia area operated W3FRC/WMF (for World Meeting of Families, which the Pope was attending in Philadelphia) and WM3PEN, respectively, in addition to a separate W3P special event station; and K2P was on the air in New York City and southern New Jersey. The New York end of the operation was anchored by the Great South Bay Amateur Radio Club. QSL information is available at <http://bit.ly/1KDQO8p>. The International Telecommunication Union's 2015 World Radiocommunication Conference (WRC-15) will be held this fall in Geneva, Switzerland. Delegates representing ITU member countries will vote on international telecommunication policy issues during the nearly monthlong conference (Nov. 2-27). Of primary interest to hams are competing proposals to create a worldwide secondary amateur allocation at 5 MHz (60 meters). The South African Radio League reported in mid-September that Europe's ITU members had agreed to a European Common Proposal to create a 100-kHz allocation between 5350 and 5450 kHz. There was no word at press time as to whether other countries or blocs of countries were falling in line behind this proposal or sticking to others. Sixty meters in the U.S. is available on a very limited, channelized, basis. The International Amateur Radio Union's Region 1 Monitoring System is reporting a growing number of non-amateur intrusions on the HF ham bands. According to Newsline, monitors in Europe are picking up Russian navy transmissions as well as Russian and Iranian over-the-horizon radar on 20 meters, Chinese over-the-horizon radar on 75 meters, Spanish fishing boats on all HF bands and taxi drivers from various countries on 10 meters. After multiple delays, China launched a group of nine satellites carrying amateur radio into orbit on September 19th. All traveled together on a single launch vehicle. According to the AMSAT News Service, six of the satellites have inverting transponders supporting SSB and CW operation, all with uplinks on 70 centimeters and downlinks on 2 meters; one has both APRS (2-meters up/down) and FM voice (2 meters up, 70 cm. down) repeaters, and two more are downlink-only, transmitting telemetry on 2 meters and 70 centimeters. Fox-1D will carry the University of Iowa's HERCI (High Energy Radiation CubeSat Instrument) experiment. The launch is scheduled for early next year, and AMSAT is seeking additional donations to help cover the added costs of launching two satellites instead of one. On the topic of the Fox-series of satellites, the ARRL Letter reports that AMSAT has released version 1.0 of the Fox Telemetry Decoder software in advance of the scheduled October 8 launch of Fox-1A, which will also carry an FM transponder with an uplink on 435.180 MHz and downlink on 145.980 MHz. The Fox satellites are also supposed to transmit continuous telemetry as they orbit. The cubesats are intended to be reachable with a dual-band handheld radio and simple 2m/70cm beam antenna. One of the premier DX organizations in the southeast has established a new foundation to help provide financial support for DXpeditions. The Carolina DX Association recently established the Carolina DX Foundation, a separate entity with its own officers, to collect tax-deductible donations and then make donations in support of DXpedition efforts. The group is starting out with $15,000 in seed money earned from selling a collection of radios donated by Frank Dowd, K4BVQ. According to a report on the Southgate Amateur Radio Club's news page, the goals of the foundation include "the furtherance of scientific research exploring electromagnetic wave propagation in the high frequency domain, and education through public presentations by DXpeditions supported by the CDXF." For more information, or to make a donation, contact Secretary-Treasurer Cliff Wagoner, W3ZL, at PO Box 577, Davidson, NC 28036 or via e-mail at <jcw53@cornell.edu>. Digital communications pioneer (and Nobel Laureate) Joe Taylor, K1JT, is warning users of his WSJT-X HF digital software only to use those versions of the software developed by his team and officially released on his website. According to the ARRL Letter, Taylor says some individuals are making their own "releases" of WSJT-X using open-source code, but warns that if you use them on the air, "you have no idea what you've got." He adds that subsequent observations of what does and doesn't work are "worse than useless" in that they "waste your time and ours." 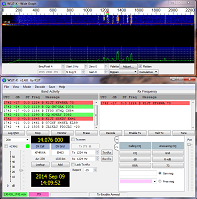 WSJT-X is currently in experimental form. How do you provide CBers with examples of good operating techniques and encourage those with the interest to "upgrade" to ham radio? 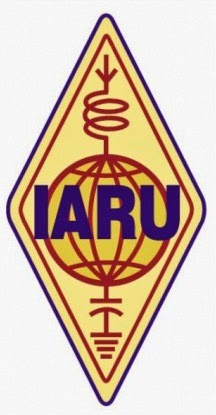 By meeting them where they live, according to Spain's national ham radio association, the URE. 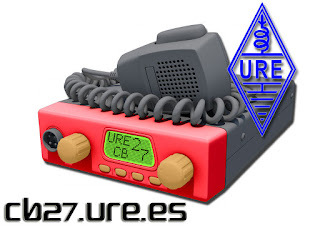 Newsline reports that URE is encouraging hams in Spain and elsewhere to get active on CB. Its website even has a 27-MHz "portal" to encourage greater use of CB by hams and anyone else with an interest in radio communications. As of September 3, 2015, there will be no fee to apply for or renew an amateur radio vanity call sign, and the cost of a General Mobile Radio Service (GMRS) license will drop from $90 to $65. In a Report & Order released September 2, the FCC announced that "regulatory fees" for both amateur vanity calls and for General Mobile Radio Service (GMRS) licenses would be eliminated as of the 3rd. The Commission had previously announced its intention to remove these fees but had not published an effective date until now. The order noted that this change applies only to so-called "regulatory" fees and that any application fees associated with these licenses remain in effect. There are no application fees for amateur licenses (even though there are exam fees), but there is a $65 application fee for a GMRS license, which remains in effect. Only the separate $35 GMRS "regulatory" fee has been dropped. Hams will not be able to access the FCC's amateur radio licensing database or file comments on rulemaking proposals beginning at 6 PM EDT on Wednesday, September 2, and possibly extending through the Labor Day weekend or beyond. In an announcement on September 1, the FCC said the planned shutdown of its interactive public-access web applications - including the Universal Licensing System (ULS) and Electronic Comment Filing System (ECFS)- is necessary to permit and upgrade to its "legacy IT systems." During this shutdown, hams will not be able to look up call signs on the FCC database or file license renewals or updates. In addition, new licenses and upgrades will not be posted during this period. According to the FCC announcement, "We will work to have these web applications upgraded and available again by the morning of Tuesday, September 8." The FCC says it does not plan to release any official documents during this planned shutdown. Volunteer ham radio operators in Ferry County, Washington, were "standing (their) ground" at the local emergency operations center / evacuation center in late August despite an ongoing threat from a large wildfire. The ARRL Letter reported that amateurs working at the shelter in Republic, Washington, were on the front lines of the battle against the so-called "Kettle Complex" of three forest fires in the north central part of the state. Sam Jenkins, WA7EC, the county's RACES radio officer and ARRL Emergency Coordinator, said his volunteers expected to be on post for several weeks despite the ongoing danger. He added that "the firefighters say they are going to attempt to defend our emergency operations center/emergency shelter at all costs." Hams in other parts of the west were also active in providing communications support for firefighting efforts in one of the worst wildfire seasons on record. With the next World Radiocommunication Conference approaching in November, it appeared in late summer that there might not be a consensus on proposals for a worldwide secondary amateur allocation on 5 MHz, also known as 60 meters. In the U.S., the band is currently available to hams on a very restricted basis, with five discrete channels and limitations on modes and power that are not found on other amateur bands. According to the ARRL, as of late August, proposals from various countries were "all over the map," and it was beginning to look like there might not be a unified proposal for the WRC delegates to consider. Options ranged from no change to a 175-kHz wide option between 5275 and 5450 kHz. A group of nine Chinese satellites carrying ham radio payloads that were scheduled to launch in early September were causing a great deal of concern in mid-August because their operating frequencies apparently were not in line with International Amateur Radio Union standards and there were fears of possible interference with land-based uses as well the voice and slow-scan TV downlinks from the International Space Station. IARU Secretary Rod Stafford, W6ROD, said talks were ongoing "with the parties involved" in an effort to resolve the potential conflicts prior to launch. At press time, the outcome of those talks was not known. 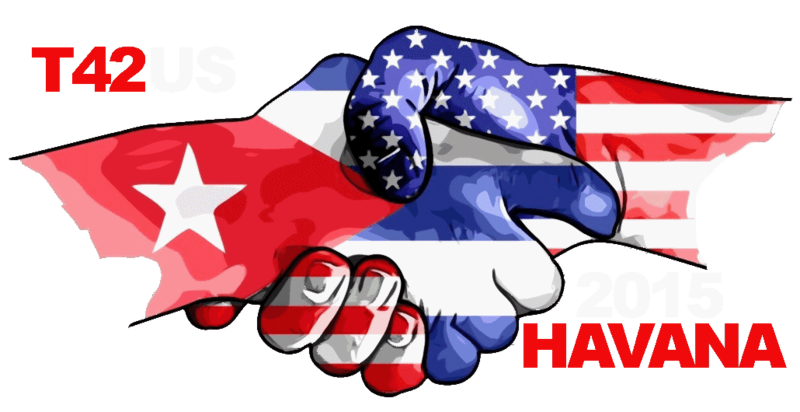 A group of hams was planning to take advantage of the recent thaw in relations between the United States and Cuba to mount a joint US/Cuban ham operation in late October, including during the SSB weekend of the CQ World Wide DX Contest. According to the ARRL Letter, a group of nine U.S. hams, led by Jim Millner, WB2REM, and nine Cuban amateurs, led by Bob Ibarra, CM2KL, planned to operate as T42US between October 21 and 28. The CQWW SSB weekend is October 24-25. Add FlexRadio's FLEX-6000 series to the list of amateur transceivers compatible with the D-STAR digital voice and data standard. Through an arrangement with NW Digital Radio, the next update to Flex's SmartSDR™ software will support D-STAR via NW Digital's ThumbDV™ dongle. Though many hams associate D-STAR with ICOM, it is actually an open standard developed by the Japan Amateur Radio League (JARL). But it uses a proprietary encoder/decoder which until now has only been offered via ICOM and NW Digital Radio. Through this arrangement, FLEX-6000 series users will be able to use D-STAR as well. The FLEX-6000 series radios are all HF/6-meter transceivers, and until now, most D-STAR activity has been on the VHF/UHF bands. However, a news release from NW Digital notes that the use of D-STAR on HF is growing and that the new availability of the mode on the FLEX-6000 radios will help stimulate further growth. The ThumbDV™ dongle will be available from both FlexRadio and NW Digital. AMSAT has announced that its Fox-1A satellite, originally due to be launched from California in August, is now slated for liftoff on October 8. It will include an FM transponder with an uplink on 435.180 MHz and a downlink on 145.890 MHz. In addition, NASA has notified AMSAT that its Fox-1B satellite is tentatively scheduled to be launched in November, 2016. Fox-1B will also carry a 70-cm/2-m FM transponder. 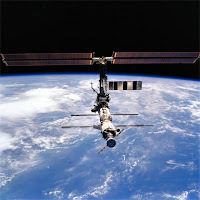 On the topic of ham radio in space, the Amateur Radio on the International Space Station (ARISS)program has announced that planning is under way to develop a new amateur station for the ISS Columbus module. According to the AMSAT News Service, the planned upgrade will include higher power and greater interoperabitlity with the ham station in the Russian service module. The FCC says a Cincinnati amateur should pay an $8000 fine for allegedly causing malicious interference on a number of repeaters and failure to properly identify his station. The ARRL Letter reports that the FCC's Notice of Apparent Liability says Daniel Hicks, KB8UYZ, at one point volunteered to help track down the source of the repeater interference, even though, according to the Commission, he was the one responsible for it. The FCC also alleged that Hicks used the call sign of a different local station in the course of his interfering transmissions. The National Institute of Standards and Technology resumed broadcasting WWV's time and frequency data on 25 MHz last April on an "experimental basis," and now has resumed using the vertical dipole antenna that was in use when the transmitter was shut down in 1977. 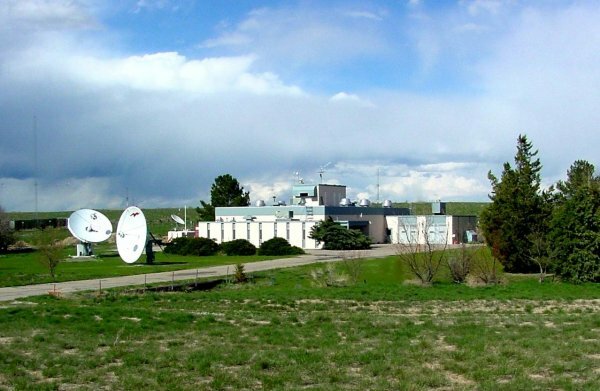 For the past year and a half, the transmitter had been using a broadband monopole that officials decided was needed as a backup antenna for WWV's 2.5 MHz transmitter. According to the ARRL Letter, WWV's lead electrical engineer, Matt Deutch, N0RGT, said staff members "dug the 25 MHz radiating section out of the mud in the bone yard and rebuilt the 25-MHz antenna so that it looks identical to what it looked like in 1977." The ARRL Letter reports that Rockwell Collins has decided to stop manufacturing its venerable mechanical filters after more than 60 years. According to an announcement on the company's website, demand for the mechanical filters has dropped dramatically as radio designers have switched over to digital signal processing techniques. The announcement did not include a specific date after which the filters would no longer be made. The YASME Foundation has announced the 2015 winners of its Excellence Award, which is given in recognition of significant contributions to amateur radio. According to the ARRL Letter, this year's awards are going to: Mike Mertel, K7IR, for inventing the tunable Yagi antenna that is now marketed as the SteppIR; Koos Fockens, PA0KDF, for his research on noise in the ham bands that played a key role in the global battle against broadband-over-power-line (BPL) interfenece; and James Ying, N2IW, for developing an online scheduling app that was used extensively by W1AW portable stations during last year's ARRL centennial and is available at no charge for use by others planning large-scale multioperator events. The award consists of an engraved crystal globe and a cash grant.